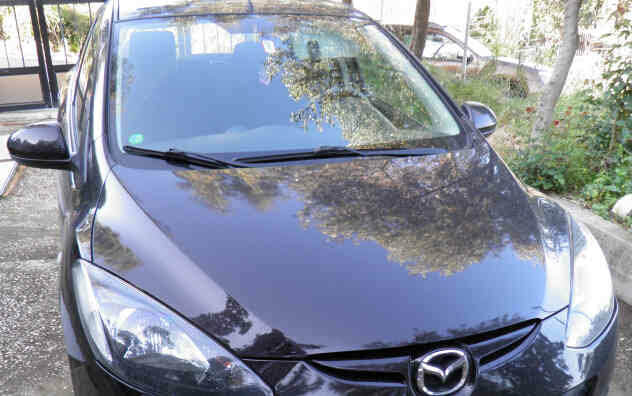 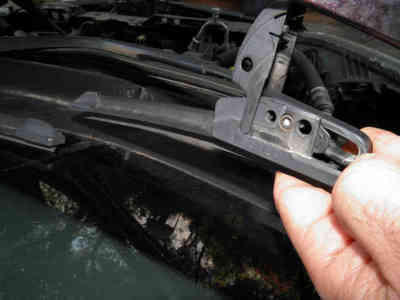 NOTE: Wipers of a Mazda 2 / Mazda Demio are shown here but replacement of windshield wipers is identical or similar on almost all vehicles of all makes and models. 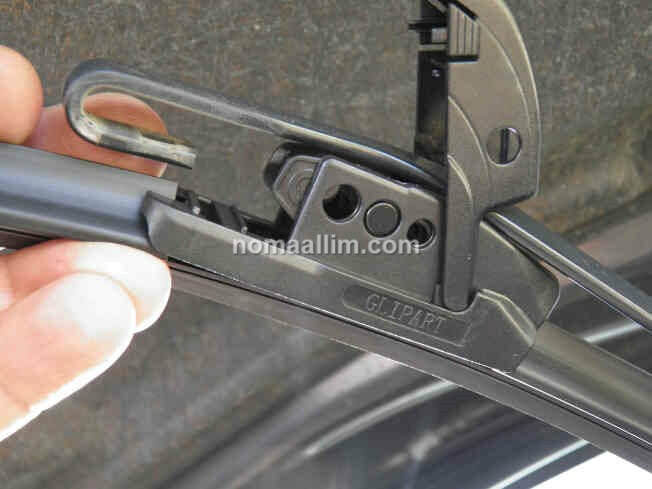 Introduce the new wiper with the clip open then push it back into the steel stem until you hear a "click". 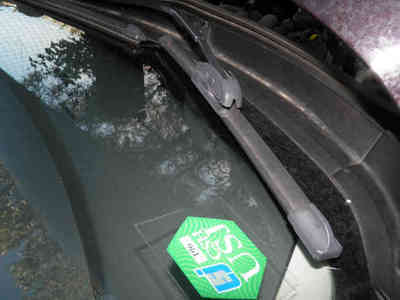 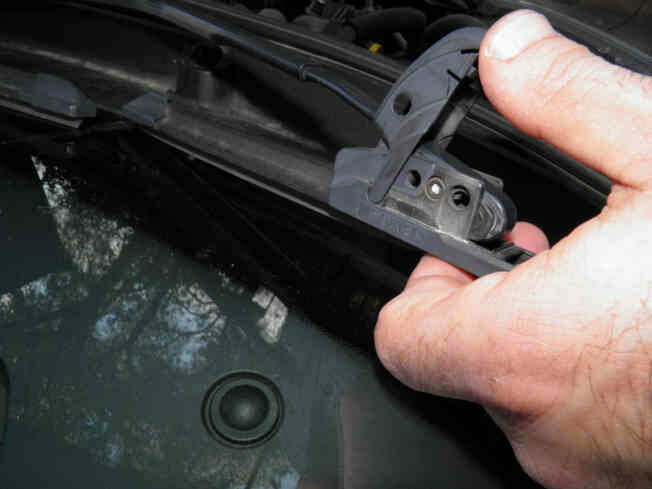 ​Close the wiper holding clip.